Here are five things to get excited about on the eve of the third and fourth stop in the women’s and men’s respective series. 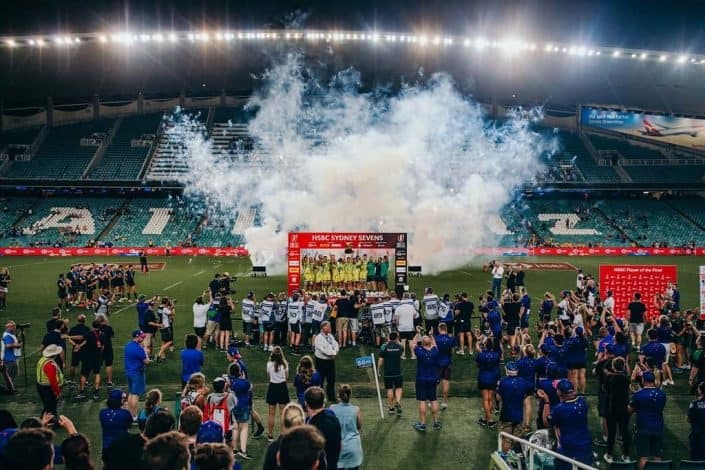 With both the best men’s and women’s sides in action over the next three days, the HSBC Sydney Sevens offers a feast for sports fans. Here are five things to get excited about on the eve of the third and fourth stop in the women’s and men’s respective series. When a Fijian sevens team is on form there is arguably no better sporting entertainment in the world. Their unique style of play – “structured unstructured” former coach Ben Ryan, who masterminded their Olympic triumph in 2016, called it – is founded upon awesome physicality and even more impressive offloading skills. An abundance of both were on display last weekend, when Fiji stormed to victory in HSBC New Zealand Sevens, in Hamilton. A 29-7 semi-final victory over reigning HSBC Sevens Series champions South Africa was bettered by a 38-0 triumph against America as Fiji successfully defended their title. The Fijians have won the last two of this season’s HSBC World Rugby Sevens Series, having chalked up a crowning victory in Cape Town before Christmas. They are tied on 57 points with America at the top of the table, but given the form they are in could pull ahead of rivals with another dominant display in Sydney. If you thought that Fiji were on song, in the HSBC World Rugby Women’s Sevens Series Allan Bunting’s New Zealand team is in an even purpler purple patch. The Black Ferns Sevens side has been on an incredible run of success since winning the Commonwealth Games last April on the Gold Coast. It was the first time the women had been included, and New Zealand triumphed 17-12 in extra time against hosts, and reigning Olympic champions, Australia, to take gold. The team won the last three rounds of the 2017-18 Sevens Series, in Japan, Canada, and France – though their 90 points was still two below overall winners Australia, agonisingly. New Zealand made amends for missing out on the title by storming to victory at the World Cup in San Francisco in July, bettering France 29-0 in the final. In the current HSBC World Rugby Women’s Sevens Series the Black Ferns Sevens have continued where they left off, with comprehensive victories in the first two rounds of the competition, in America and Dubai. Last Sunday, New Zealand were crowned champions of the Fast Four – a standalone exhibition tournament held in Hamilton, and played alongside the men’s HSBC New Zealand Sevens, including England, France and China. New Zealand will be confident they can continue their winning run in Sydney, though will have in the back of their minds this was the venue where, 12 months ago, Australia vanquished them 31-0 in the final. 3. Fourth time lucky for USA Eagles? Back in the men’s sport, no one has been more consistent than Mike Friday’s American side: they have been beaten finalists in all three stops, in Dubai, Cape Town, and – last week – Hamilton. Can they make it fourth time lucky? Can they be the bride after catching the flowers three times in a row? With 2018 World Rugby sevens player of the year Perry Baker and his teammate Carlin Isles – surely the fastest rugby player on the planet (he has run the 100 metres in 10.13 seconds and is trying to qualify for the Olympics on the track as well as with the sevens team) – on the pitch, anything is possible for this maturing team. Australia women’s team were crowned inaugural Olympic champions in Rio de Janeiro in 2016, defeating trans-Tasman rivals New Zealand 24-17 to win gold. The Black Ferns Sevens claimed the 2016-17 Sevens Series, though Australia pipped their great rivals last term. However, following poor showings at the Commonwealth Games and the World Cup – both of which New Zealand won – there is a sense that the balance has shifted. Australia are currently a lowly fourth in the overall table, after two rounds (in America and Dubai), and will be desperate to kick-start their campaign on home soil this weekend. It’s always more fun for fans at HSBC Sevens events, and Sydney is no exception. This season, there is a bespoke Tiki-style HSBC Hot Seat, part of leveraging HSBC’s current Home Loan campaign, which depicts customers building their dream home. The Hot Seat will offer fans, HSBC customers and VIP guests a money-can’t-buy viewing experience from the best seat in the house – complete with a panama hat and sunglasses, plus complimentary food and beverages. 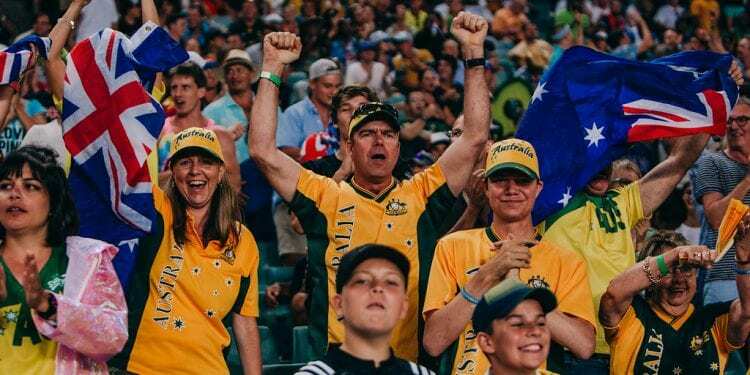 In addition, HSBC Dance Cam – a favourite at the HSBC Sydney Sevens tournament – is back, and will show revellers on the big screen during breaks in play. This year, the HSBC Dance Cam will also run as a competition for the general public to gain an upgrade to the HSBC Hot Seat. That’s hotness most would like to handle.